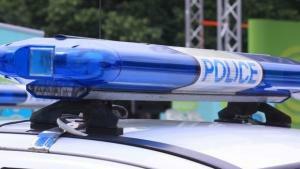 Over the past week, a special police operation took place in the city of Varna. As a result of the police actions, for up to 24 hours, ID was arrested. (27), unknown to law enforcement officials who were found to be in possession of narcotic drugs. In the course of the investigative actions, an address was searched in the town inhabited by AD. 1842,84 g of marijuana and 4,05 g of amphetamine were found and seized. The work on documenting and proving the committed crimes continues under the supervision of a prosecutor from the Regional Prosecutor's Office in Varna. Pre-trial proceedings have been initiated in this case. On A.D. was charged. In the course of the large-scale operation, a total of 30 pre-trial proceedings and 10 rapid police operations were initiated. Among those detained within the specialized operation are three people who have committed theft of vehicles. A total of 1921 persons and 1072 vehicles have been checked. 455 AWAS were also prepared.